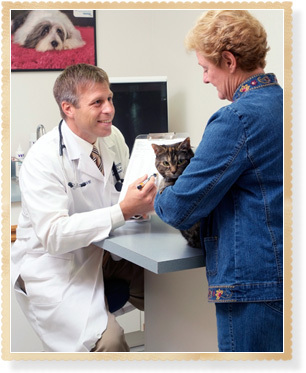 Thank you for choosing The Yancey Clinic of Veterinary Medicine! To make your pet's first visit to our hospital easier, we have posted our New Client Information form online. Download the form below, print and fill it out, and bring it with you to the hospital at the time of your pet's first appointment. Please call us at 740-386-6633 if you have any questions. Payment is due at the time services are rendered. The Yancey Clinic of Veterinary Medicine accepts cash, checks, American Express, Discover Card, MasterCard, Visa, and pet insurance. We now also accept Care Credit. Please note: you must have Adobe Reader installed on your computer to view this form. Click here to download the latest version of Adobe Reader.